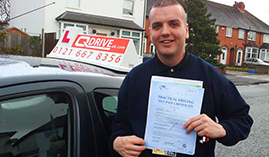 My Driving Lessons is one of the most popular car driving schools in Peterborough offering Automatic & Manual Driving Lessons at a very affordable price. Our method of teaching is unique with the perfect recipe of theory and practical sessions. 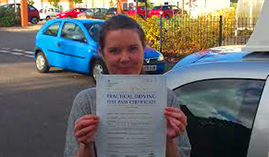 We have a good number of driving instructors who are knowledgeable, friendly and master in their role. Our team of expert instructors provides customised driving lessons to every individual. You will always be stress-free behind the wheel with our fully trained staff. We can provide you manual and automatic both types of driving lessons. 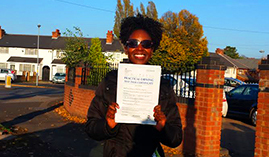 Our driving learners recognise us as one of the finest automatic and manual driving schools in Peterborough. With our experienced staff, we will help you to achieve your goals. We provide tailor made driving courses to suit your needs. Driving courses are available on evenings and weekends too. Whether you take our hourly course or an intensive driving lesson, we will provide you quality instruction including added benefits such as being picked up and dropped off at your home. 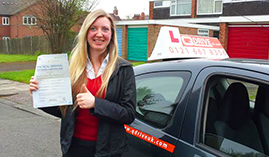 We have a high pass rate in the comparison with other driving schools located in our area. Our driving lessons always meet with incredible admire and a lot of recommendations. You can also read our reviews from our satisfied and happy pupils. 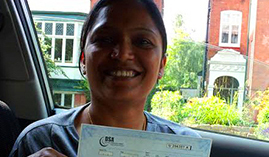 It shows that you should choose us over any other driving schools to save your money and time. Our aim is to provide relaxed, quality driving tuition for our pupils, not just to obtain their driving license but also for safe driving. Some Statistics show that a large number of road traffic accidents involve young or newly trained drivers and we, as a driving school, are totally dedicated to help reduce this percentage. Give us a call at 0795 8930 888 for any query or mail us directly at info@mydrivinglessons.co.uk. We will be delighted to assist you. We let them to learn play-like, not to make more "Do's" and "Don'ts" while at learning. We are 7 days available in evening & weekends, as we take Off in our pupils' holidays. We offer hourly driving lessons to those who mean to take lessons on weekly basis. To believe you for our services are custom-made, we avail driving lessons on late night weekends. 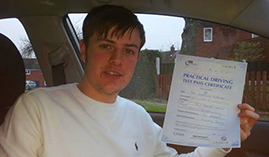 We offer Intensive courses that help you to pass your driving test on the first time. To assure you know about the rate of its success, it has 8 out of 10 in giving helpful car driving lessons. 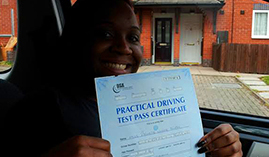 Many people look for driver training with an aim to pass their driving tests. Meaning that new drivers need proper guidance and courses like automatic driving courses from skilled trainers, the data on new drivers explain that passing the driving test is not an assessment of how safe a new driver will be on the road while driving. So, we teach our students to drive safely which make them expert and get their licenses approved quickly. We have licensed drivers who can teach how to drive a vehicle without mistakes; we produce safe drivers who teach students by automatic as well as manual car driving lessons. Our driving training program has been grown by years of car driving knowledge. Our Lessons are planned to generate substantial results. At the finish of our driving lessons/courses, our students are able to perform the test efficiently. Our students get immediate feedback on where they are capable of and what falls next. Each student who gets any of our packages is sure to enable him/her to drive safely. We have the most skilled trainers in our driving school. My Driving Lessons is known as the foremost educator of driver trainers. My Driving Lessons presents itself as a professional business that provides 24/7 online support plus services. This driving school in Peterborough is famous to provide a big fleet of new cars. This car driving school comes with more availability, more areas and more manual trainers than any other driving school.